First official day of school. Fall, 2013. 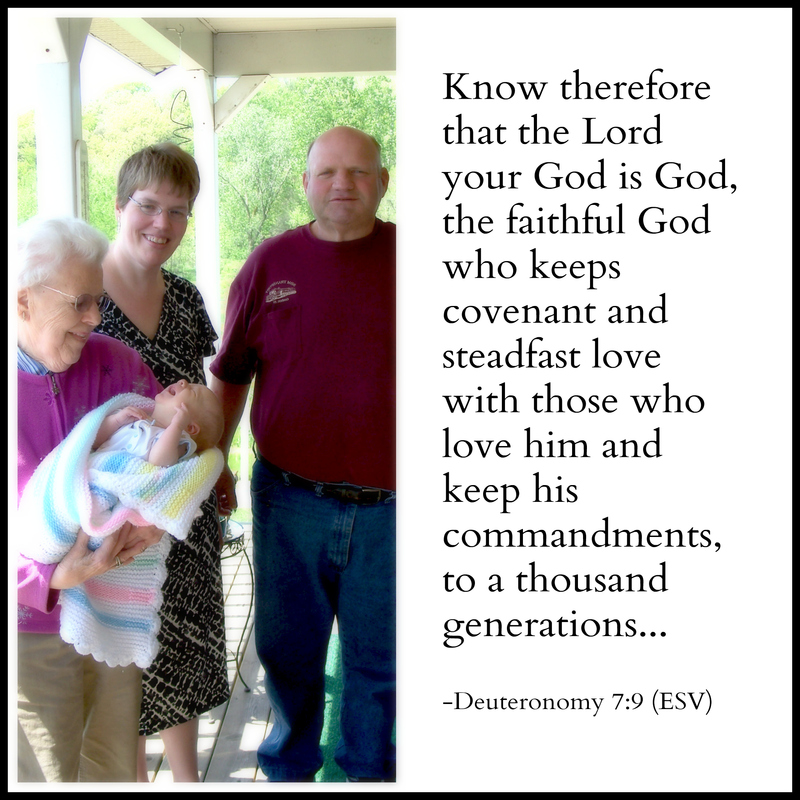 We started officially homeschooling this past September. Last year we had a “letter of the week” and more informal activities and games. My main focus at that time was developing a routine that would work for family life and school. After breakfast, we do a few chores. 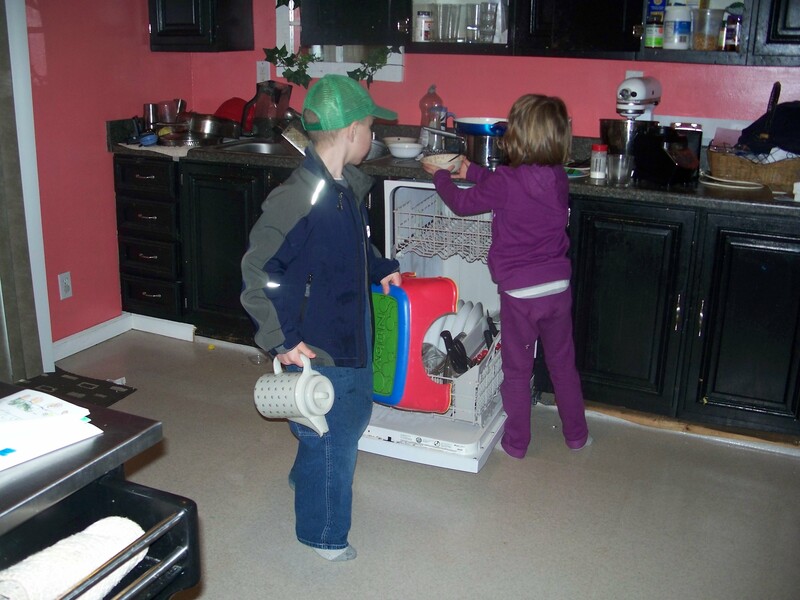 Clearing the table and emptying the dishwasher. If I have some extra work to do around the house, the kids will play a game (or goof off, or fight) while they wait for me. 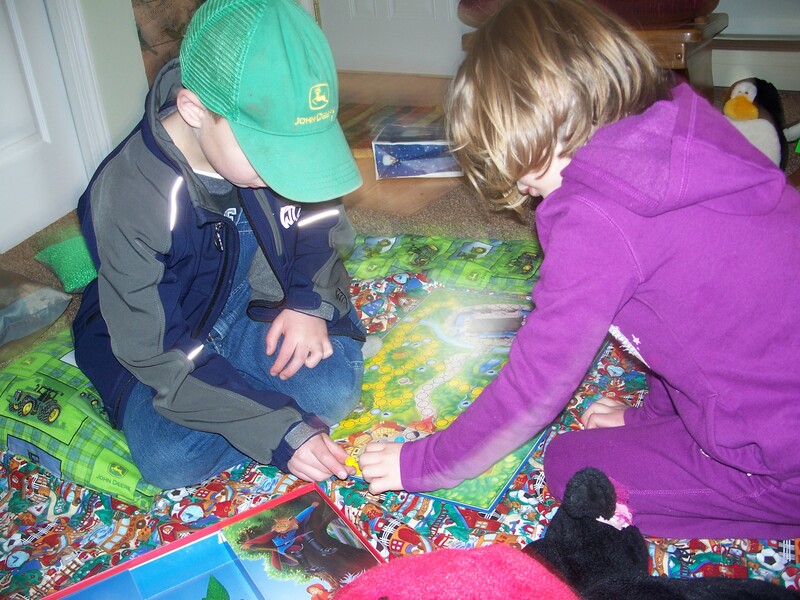 Playing Enchanted Forest, one of their favorite games. Today we have lots and lots of snow in Michigan, and extreme cold temperatures. 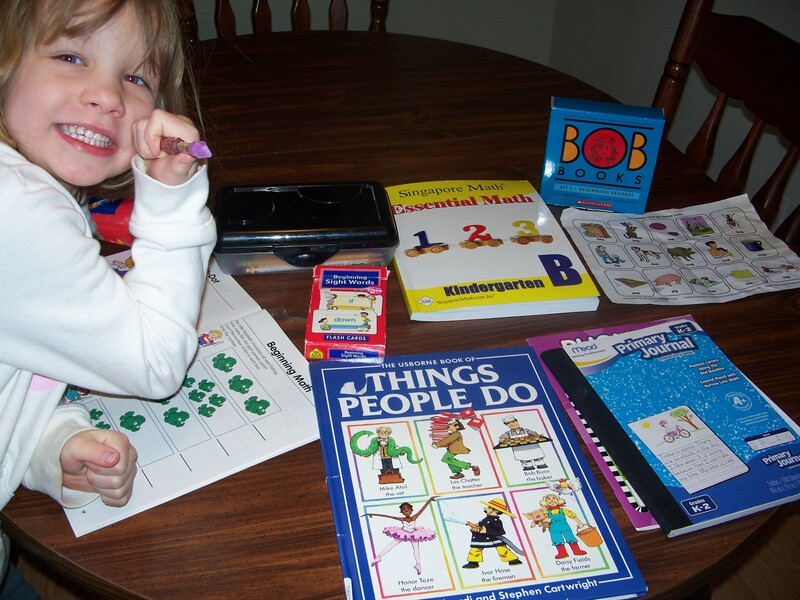 My husband’s work was cancelled so he took some pictures today and also worked with the kids on their Math. I pray that mom would be nice and not yell, and that school would be easy. (Keeping it honest, folks! Ha!) Our hymn of the week is “The Power of the Cross by Keith & Kristyn Getty. We listen to it on a CD and sing along. 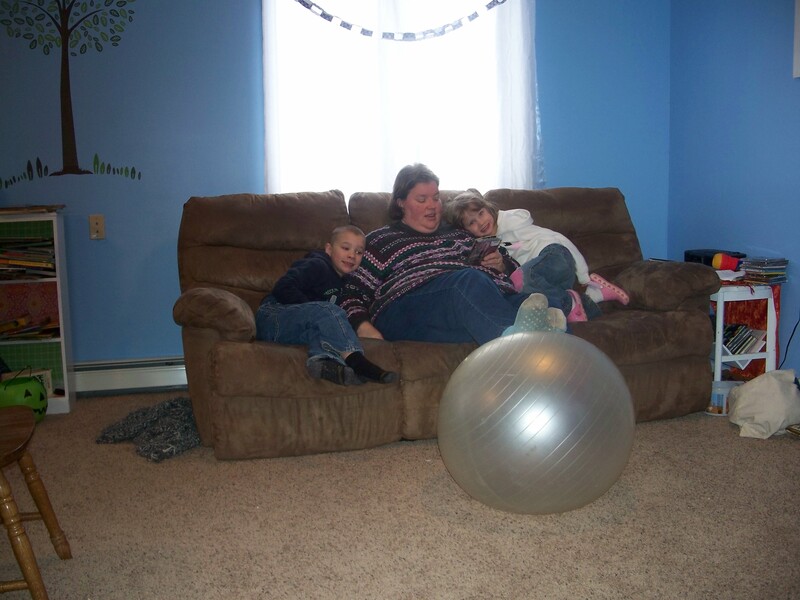 The kids usually snuggle up, but especially on days like this when it was fifty-eight degrees in our family room. Morning hymn and prayer time. After our hymn and prayer time, I like to work with each child individually. One child spends a half hour watching “The Letter People” DVD while I work with the other child. We use the original Letter People. A friend told me I could buy a DVD with all the episodes on Ebay. 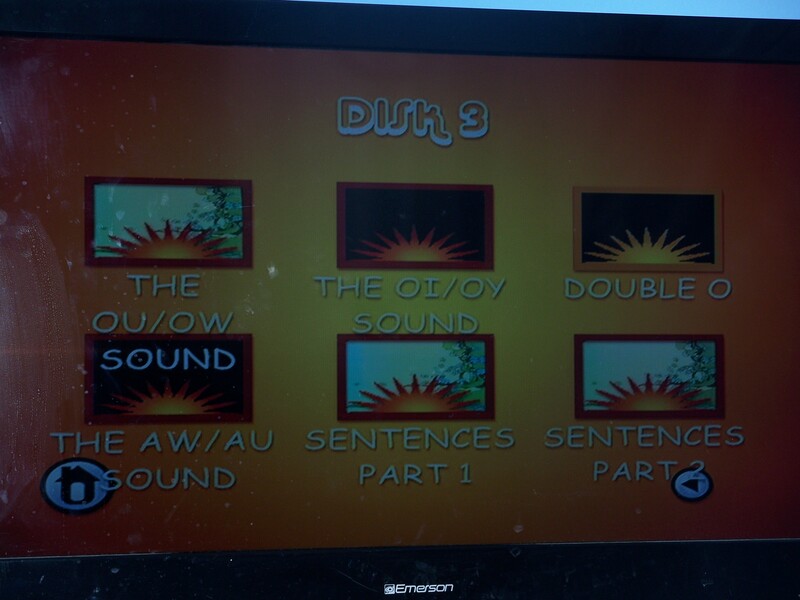 The video quality is poor, but the kids don’t mind a bit, and I am enjoying this walk down memory lane. Near the dining room table we have a crate of supplies and curriculum. Today we worked with my daughter first. At this part of the day my goal is to work with them individually on reading, writing and math. Other subjects are covered with both of them together. 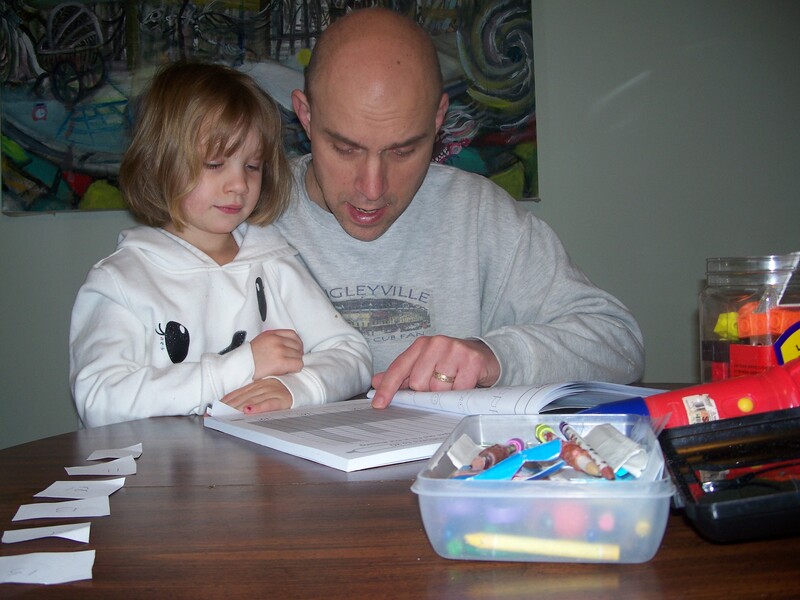 It was a snow day, so Dad covered Math. 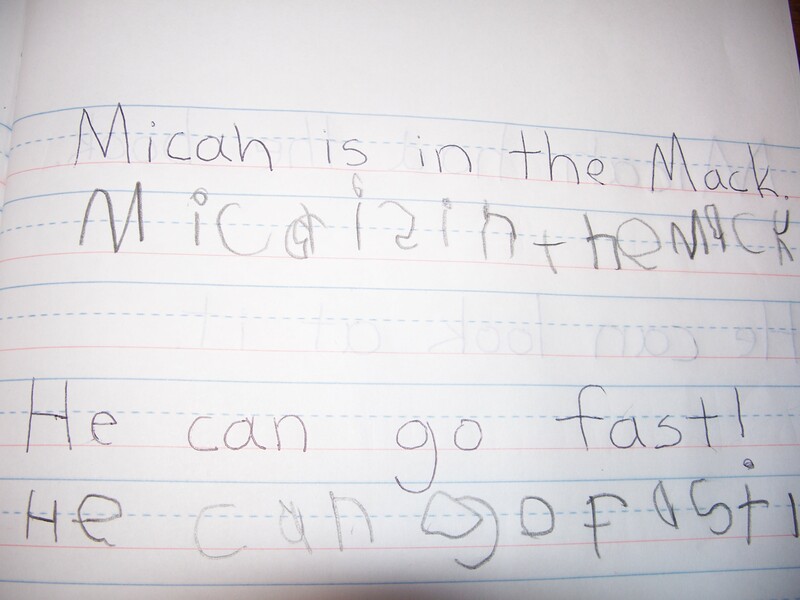 Micah’s copy work for the day. We also made use of a few sight words he is memorizing. I save our favorite part of home school for the end. This is sometimes done right after our other work, or other days, after lunch in the early afternoon. We have been using Five in a Row (FIAR) to cover many other areas of learning such as geography, science, history and art. The same picture book is read five days in a row. In our case, we normally have four days, as we are in home school co-op on Fridays. With all the snow this month, we haven’t been able to go to the library to borrow our next FIAR book. However, we are applying the principles we’ve learned in FIAR to Little House in the Big Woods by Laura Ingalls Wilder. 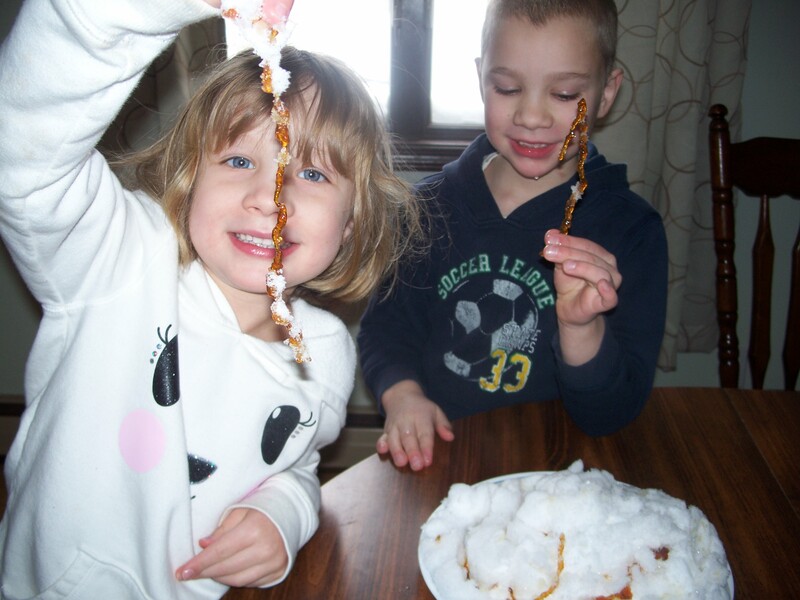 Today we read the chapter about sugar snow. The next chapter is about the dance at Grandpa’s, and it includes the story of Grandma making maple syrup candy. 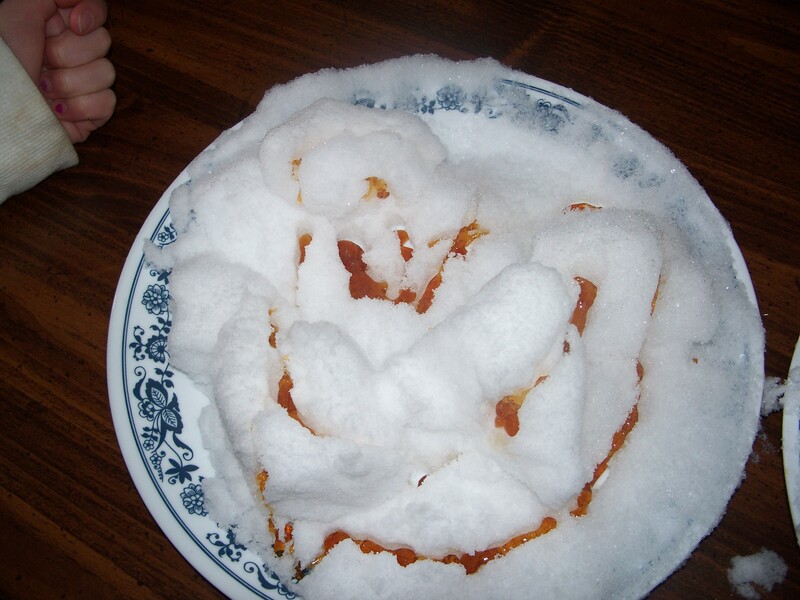 I had real maple syrup in the house, and there was certainly plenty of fresh snow, so we tried it. The normal time frame for formal schooling is a total of two hours per day (max.). I expect that will increase as they get older and have longer attention spans. There are other times of learning throughout the day. 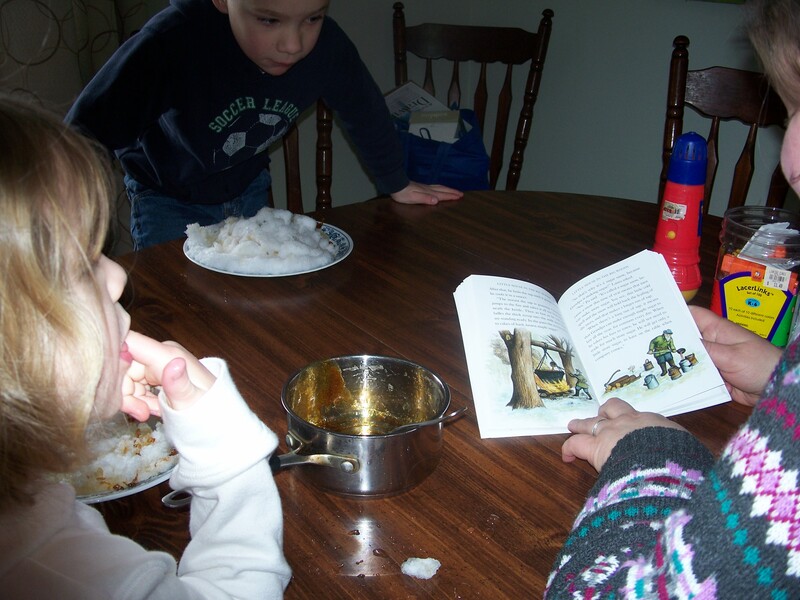 We read the Bible together at supper time. The kids work on their AWANA verses before going to bed. They help me with cooking and other things around the house as well. In the afternoon we always have a quiet time for a half hour, more or less where we each go in our own rooms and take a little rest. Micah usually builds something with his Legos to show me, and Greta likes to play with her stuffed animals or sometimes color. The quiet time gives us a little break from one another and some space to ourselves. In the summer the kids spend much of their days outdoors, but that has been impossible this winter. I let them play the Wii and our family likes board games. Sometimes they watch some PBS kids shows or Netflix on our Roku. 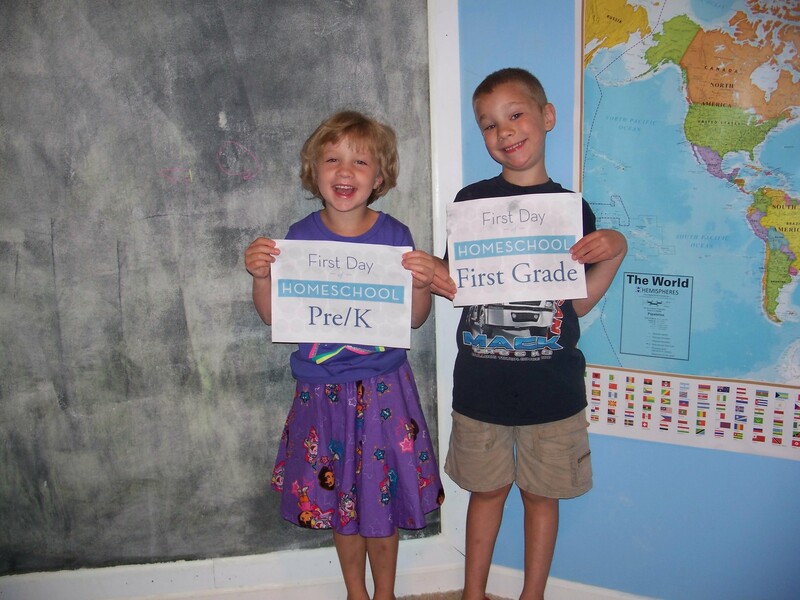 Hope you enjoyed a look at our home school day!